Halfway is a turn-based strategy game taking place a few hundred years in the future. You take control of a small group of people who are witnesses to a violent overtake of their spaceship by an unknown species. As you fight your way through the dark corridors and rooms of the ship, you will uncover more and more details of what has taken place. For now, all you know is that in order to survive you will have to fight, face your fears and outsmart the enemy. This footage hasn't really been shared to many places so we should feel privileged. GOL: What engine is the game built on? Stefan: We're building the game with libgdx, it's an open-source cross-platform framework using Java. The final game will be distributed as an executable bundling it's own JRE to ensure compatibility in as many places as possible. GOL: What distributions have you tested the game on? Stefan: So far we've only been testing the game on Ubuntu 12+, haven't had any problems getting the game to run there. Mind you, it's still early days and we're only just now starting to get some more interested alpha testers on board. GOL: How have you found the experience of working to get your game working on Linux? Stefan: We haven't had any major problems getting the game to run on Linux. But as mentioned above, we also haven't conducted any wide-spread testing on various systems/distros. So it's quite possible we're still in for a ride! But we're confident we can get things running on the major distros. GOL: You use Java which is supposed to be a very cross platform tool, have you had any Linux specific issues with it? Stefan: Not so far. We are still early on in the development process and we might hit some roadblocks further along the way once we've reached out to a wider audience for testing. GOL: What is your personal opinion of Linux? Stefan: I think Linux is on the rise. With both Windows and Mac OS X becoming increasingly more closed platforms requiring certification/approval processes, I am personally very interested to see where Linux will stand in a few years time. With Steam adding Linux support, another step has been taken in making it a viable platform for gamers. GOL: Are there any tools you feel Linux is missing to help you And others develop games for Linux? Stefan: There are plenty of options to develop games cross-platform these days. Many of them available completely free of charge and open sourced (libgdx, OpenFL, etc. ), while others require licenses. If you want to develop games on Linux you are a bit more limited for options, but still possible. I personally know quite a few people who develop exclusively on Linux! GOL: How will the game be distributed? Humble store, desura, steam? Stefan: Too early to tell. But we will certainly try and distribute the game through as many channels as possible. GOL: What games inspired you? Stefan: Too many to name! 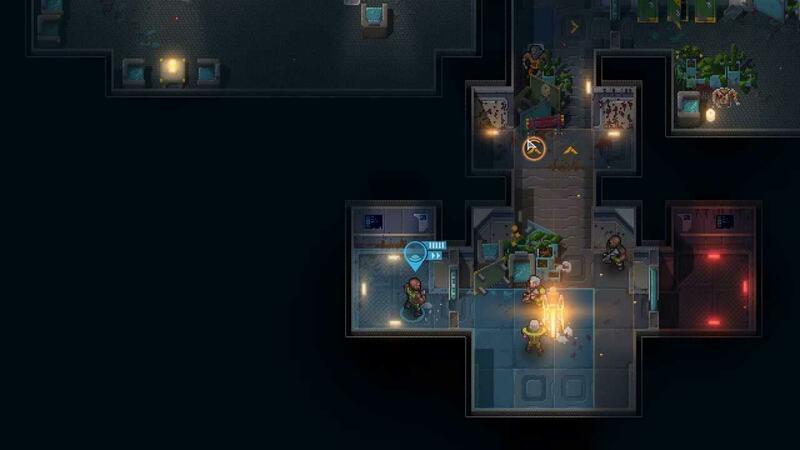 We have certainly drawn inspiration from the classics in this genre, such as Jagged Alliance 2, X-com and Incubation but also from games like Final Fantasy Tactics and Tactics Ogre. Visually, we're certainly inspired by the Bitmap Brothers games and a lot of the classic Thalion games such as Ambermoon. Another influence is System Shock 2, we are in awe of the atmosphere and story telling in that game. One core philosophy we're trying to nail is to take some of the warmth we associate with retro games and put a modern twist on it, do things you wouldn't have been able to do on hardware 10 years ago! With all this being said, ultimately it's just about looking at the game in front of us and figuring out what works and what doesn't. And sometimes that's quite a painful process. Big thanks to Stefan from Robotality for the interview and for sharing the footage with us, hope you guys like it. Obviously it looks like a bitmap brothers game. Thanks for finding this gem. I'll follow their progress. Good choice to rely on Java, it simplifies a lot the multiplatform part. This looks excellent. It reminds me of the old Rebelstar games I played to death "back in the day". If they add an overwatch style of ability, they'll have an Xcom contender on their hands! On a first look it reminded me of Chaos Engine and I could add Shadowrun (SNES) and Dreamweb, this is a gem, it´s in my list of next games to buy, simply awesome! "...we're only just now starting to get some more interested alpha testers on board." I thought they could be asking for beta testers. The alpha footage looks great! Definitely following this one!